Manning Stainton is the leading estate agent across Leeds, Wetherby and Wakefield, with a network of 19 branches and a team of local experts, one of our award-winning branches can be found in Crossgates. With over 76 years of combined experience, our local team at Crossgates are focused on helping you move and making it as stress-free as possible. The team in our Crossgates branch are local experts, with extensive knowledge of the housing market in the surrounding areas of; Crossgates, Barwick in Elmet, Colton, Temple Newsam and Whinmoor. 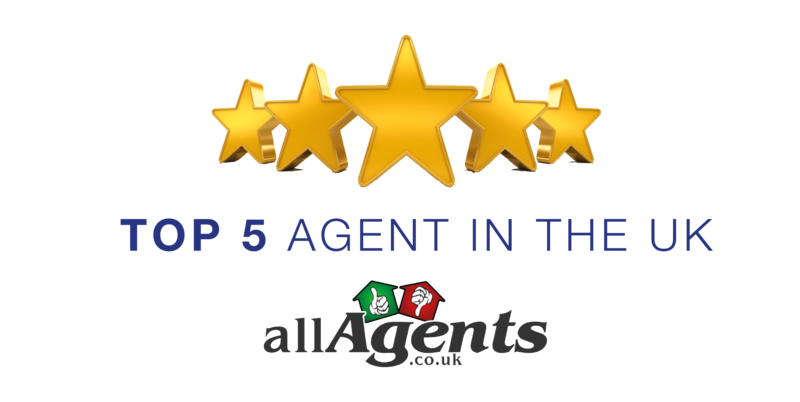 What's more, Manning Stainton is proud to be recognised as one of the top agents in the UK on allAgents.co.uk, the TripAdvisor of Estate Agents, our Crossgates Branch is currently ranked as the top Estate Agent in LS15 and Crossgates. Crossgates, a suburb of Leeds, is located close to Austhorpe, Barwick in Elmet, Colton, East End Park, Halton, Halton Moor, Harehills, Killingbeck, Osmonthorpe, Pendas Fields, Scholes, Seacroft, Stanks, Swarcliffe, Swillington, Swillington Common, Temple Newsam, Thorner, Whinmoor and Whitkirk in the East Leeds area. Crossgates is home to a variety of amenities, including local shops, cafes, supermarkets, and schools. There is plenty of shopping, with Crossgates Shopping Centre in the middle of the town, with over 60 shops, cafes and restaurants there is something for everyone and also the nearby retail park at Colton. Temple Newsam park is also on the doorstep with regular events for the whole family to enjoy. Conveniently located close to Leeds City Centre, it is perfect for commuters. Crossgates plays host to a wide range of property styles and caters for any buyer, from first time buyers to family homes, to relocation and downsizing or Investment. Our Crossgates branch is conveniently located on the Austhorpe Road and whether the property for sale is an apartment, house or bungalow, we’ll ensure you get the best result when selling your house or we can help you find the perfect property if you are looking to buy a home in Crossgates. Crossgates is becoming increasingly popular, offering prospective buyers a range of amenities on the doorstep and proximity to motorway network and city centre. There are a wide range of property types available including terraced properties, detached, semi-detached, flats and bungalows. It has plenty of development at the moment with many developers recognising the demand available for this great area just on the outskirts of the city. Our team in Adel have 76 years of combined experience in Estate Agency. With this experience my team have the skills and local knowledge to help guide you through your move and make things as easy a possible. Call in for a friendly chat!